Registered nurses (RNs) can use graduate study to hone their skills in a specialized field of practice. Missouri has at least 15 colleges and universities that offer a master of science in nursing (MSN) degree program. This course of study prepares candidates for advanced positions in nursing administration, nursing education, family practice nursing, and numerous other specializations. 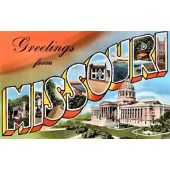 Missouri has MSN providers in all major cities, including Missouri State University in Springfield and University of Missouri campuses in Columbia, Kansas City, and St. Louis. These advanced programs typically require one to three years of study, but they make take longer for part-time students. The MSN curriculum includes coursework in nursing informatics, leadership and nursing practice, advanced research methods, population health, epidemiology, pathophysiology, health assessment, and pharmacology. Upon completion of the MSN program, candidates may attain licensure as advanced practice registered nurses (APRNs) in their chosen field of specialization. Advanced practice registered nurses enjoy the highest compensation in the nursing profession. Three of the most popular APRN roles are nurse midwife, nurse practitioner, and nurse anesthetist. Missouri’s nurse midwives earn a median annual salary of $86,000, and the state’s nurse practitioners earn roughly $90,000 per year. The top quartile in either profession will make $100,000 or more annually. Missouri’s nurse anesthetists do even better: they earn a median salary of over $145,000 per year. To help Missouri’s nurses advance their careers into leadership roles, we’ve profiled below the state’s best MSN degree programs. You’ll find them grouped by major metro area.